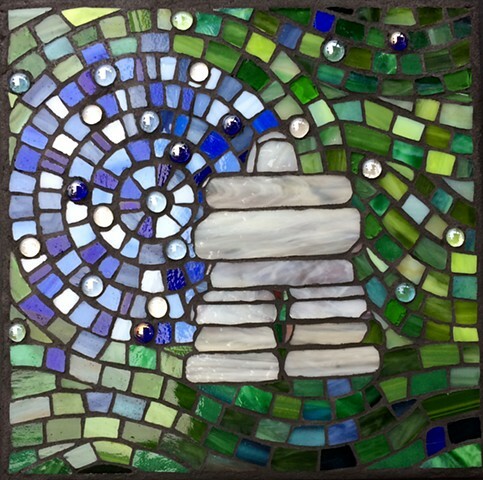 The inukshuk, an icon of the Far North, is migrating south. At one time it was strictly an emblem of the Arctic. Now, partly thanks to the 2010 Winter Olympics in Vancouver, the iconic stone monument has become a Canadian symbol. I have made many inukshuks in SG mosaic, often making the background somewhat resemble in the north. I made this one with verdant greens to show it as it would look in my own here, not far from the 49th parallel.